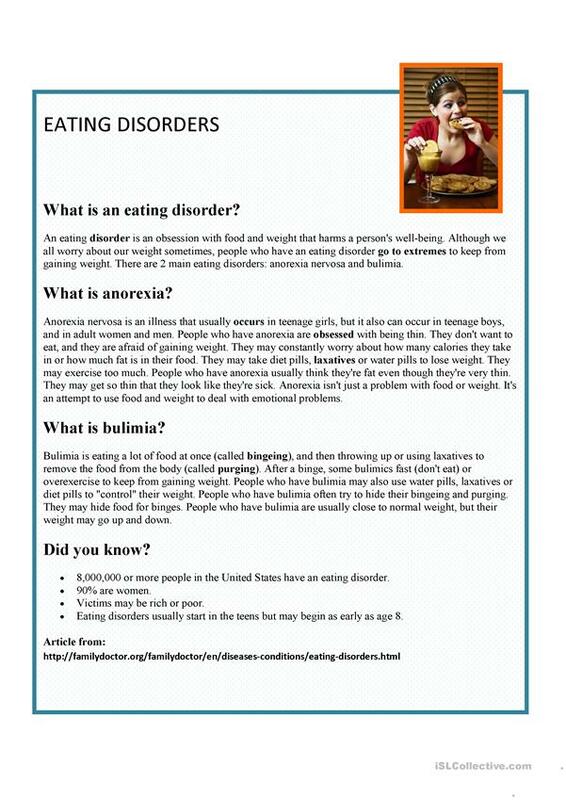 An article about the eating disorders of anorexia and bulimia. 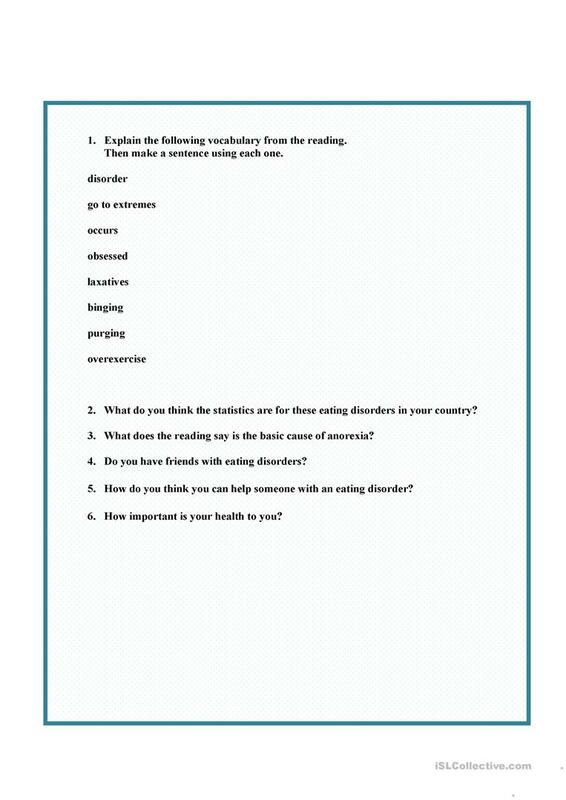 Page two includes vocabulary questions, questions about the reading, and personal questions. The present downloadable worksheet is meant for business/professional students, high school students and adults at Upper-intermediate (B2), Advanced (C1) and Proficient (C2) level. It is a valuable material for enhancing your pupils' Speaking and Reading skills. It centers around the theme of Health, going to the doctor.